Hey guys! I'm back with a fun take on a layout using a full page image as the background. To replicate this Sunday Sketch, there are many ways to interpret it. 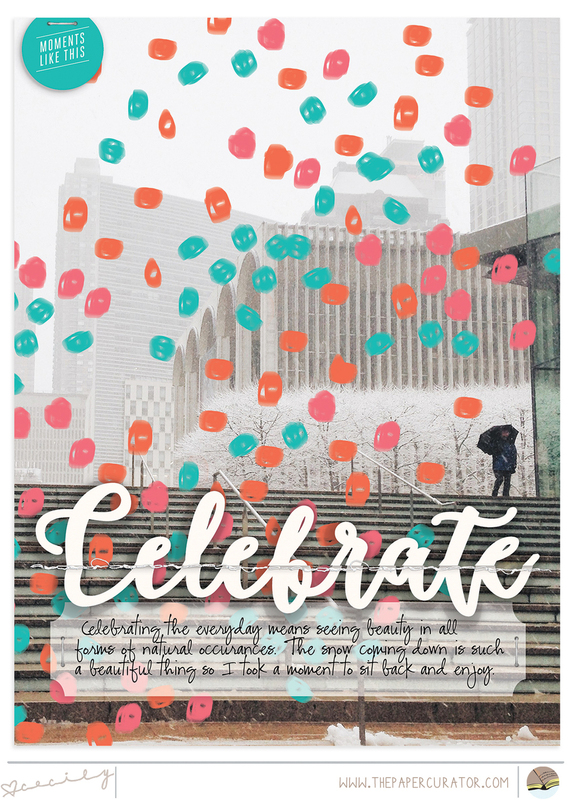 My fave is to simply doodle some digital confetti on your image before printing - like I've done with 'Celebrate' or you can throw a confetti transparency over it too! ( I'm Loving this one ). Either way, this is a fun trick to jazz up a layout without much embellishment involved! Thanks for stopping by! i hope you'll give this Sunday Sketch a try and share with the #SundaySketchSeries on instagram!